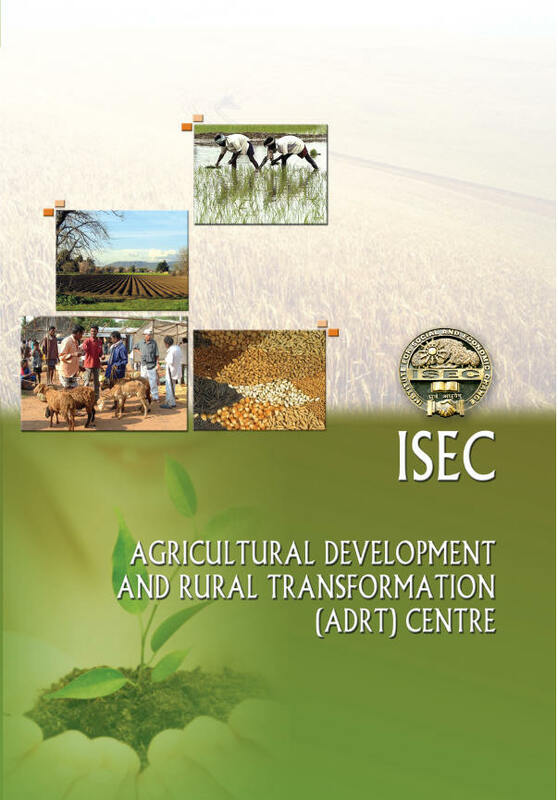 Agricultural Development and Rural Transformation Centre (ADRTC) was established in 1972 with an objective to provide continuous policy feedback to the Ministry of Agriculture, Government of India and, hence, adhere largely to the research agenda of the Ministry of Agriculture, Government of India (GOI). However, keeping in view the commitments of the Institute and its broader vision, the ADRTC faculty has been able to focus on several issues in agricultural development at the State and Union level. The Centre participated in the Mega Study on Farmers at the Millennium, conducted by the Ministry of Agriculture, Government of India as one of the Coordinators. The Centre has been carrying out evaluation programmes launched by Government of India during the recent period such as National Rural Employment Guarantee Act, National Horticulture Mission, Prime Minister Rehabilitation Programme and so on. At the State level, the Centre has participated in formulating the Agricultural Policy of Karnataka and prepared the Report of the WTO Cell and on Farmers’ Suicides in Karnataka. The Centre is playing active role in drafting Agriculture Chapter in the Karnataka Economic Survey. The ADRT Centre proposes to focus on important policy issues in Agriculture and Rural Development. Research carried out will help to bridge the gap between field level understanding and the policy initiatives undertaken at the implementation level. Farmers-centric approach towards research and grounding the research in the public policy will be the goal of the Centre. The mission of the Centre is to make the farmers self-reliant and add to the understanding of the welfare orientation of the policy. ADRT Centre has been instituted as the policy feedback centre of the Ministry of Agriculture, Government of India, and hence the research agenda is largely directed by the requirements of the Ministry of Agriculture. The research agenda always has a strong policy focus and therefore, the faculty of ADRT Centre focuses on the current research issues. Some of current issues on which ADRTC work has been focused include Impact of WTO on agriculture sector at the State and Union level; Agricultural price policy has remained one of the important area of research; In the past ADRTC has done studies on stagnation of agricultural productivity at the nation and the state level. The faculty members of the ADRT Centre continue to work on this very crucial issue. On the input side, the studies are planned on various areas such as analyzing the efficiency of Indian irrigation and traditional irrigation systems, credit delivery system, micro credit, post-harvesting infrastructure, horticulture, animal husbandry and watershed development and so on.